Dr. Angel Fernandez is a famous poet, musician, teacher, director, administrator, tireless traveler, who has been part of organizations such as UNICEF and UNESCO, He has also been Chairman of the High Council of a major consortium of universities spread throughout the world, and has dedicated his entire life with making this planet a much better place. He has also served as an educator, diplomat, and counselor. He is also the director of the television program A1, weekly program, broadcast on Sundays at 7:00 pm throughout Latin America and the United States. He is also a lecturer of international rank all over the world. 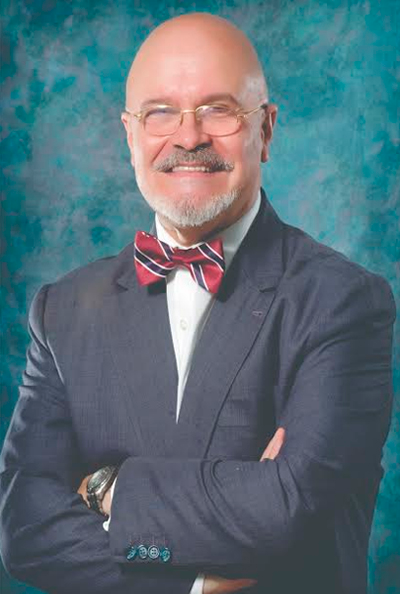 Dr. Fernandez studied Medicine, Philosophy and Literature and Psychology of Education, as well as Business Administration, Economics, Management of Centers, Human Resources Management, Literature and other disciplines, in recognized universities of Spain, England, the United States and other European countries. Defined by his sensitivity and love for art, he also has a passion for music, having led musical groups in his native Spain, and adding more than two hundred compositions of his own, songs he plays in his voice And as an autodidact instrumentalist on guitar, bass and piano. He is talkative in speaking, but he values ​​the silence and the virtue of expressing himself in a low voice with the richness of the words he turns into impressive writings in his 34 books, as well as countless articles in local, national and international newspapers and magazines. He has many followers are located in many parts of the world, through its Internet portal, www.esdeihewe.com, and YouTube or its radio program www.a1radiotv.comor its TV channel www.televisiona1.com that transmit 24 Daily hours, 7 days a week; All are part of the large number of people eager for knowledge and spiritual development. With a high sense of friendship, he shares his role as father, friend and life partner, when it comes to assuming feelings of sorrows and joys, with those who are joining in the path of his life. And even though he says he is only an apprentice of everything, but master of nothing, the reality is that, today, Dr. Fernández is a bastion and a basic and outstanding support of helping to create a beautiful New Earth.